Toni Theisen, the 2013 ACTFL President and the 2009 ACTFL Teacher of the Year, teaches French at Loveland High School in Loveland, Colorado where she is also the district WL Curriculum Representative. Theisen is a National Board Certified Teacher with a M.A. in Foreign Language Teaching and a M. A. in Education of Diverse Learners. She is also a Google Certified teacher. Very active in the foreign language profession, Theisen has presented many workshops, keynotes and webinars for national, regional, and state conferences and has authored articles on Multiple Intelligences, Differentiated Instruction and Technology for the 21st century learner. Theisen presented “Activating Communication” as part of the first ACTFL Webinar series and also presented at the 2011 LARC STARTALK Institute at San Diego State University. Theisen has participated on many committees including the revision of the World Languages teacher standards for licensure. She chaired the 2009 revision of the Colorado World Languages Academic Standards. She served on the committee for the National Board for Professional Teacher Standards in 2000 and was the co-chair for the revision committee of the NBPTS Teacher Standards for WLOE in 2009. Most recently she chaired the ACTFL 21st Century Skills Map committee in collaboration with the Partnership for 21st Century Learning. Toni served as President of the Colorado Congress of Foreign Teachers in 1988-89. As an ACTFL Executive Board member from 2001-2005, Toni served as the program chair for the 2004 and 2005 conferences. She was the Local Chair for the CSC, SWCOLT and CCFLT Joint Conference in 1988 and the Program Chair for the 1991 Central States Conference. 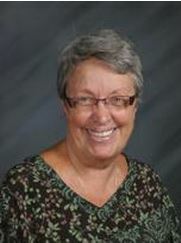 Toni has received many honors including the ACTFL Nelson Brooks Award for the Teaching of Culture, The Colorado Governor's Award for Excellence in Teaching, the SWCOLT Excellence in Teaching Award and the Genevieve Overman Memorial Service Award from the Colorado Congress of Foreign Language Teachers. Our 21st century learners need a multi-sensory learning environment designed around authentic learning experiences that encourage collaboration, creativity and critical thinking. How can we use focusing lenses to guide thinking when creating relevant instruction that is more meaningful, rigorous and engaging? How can focusing lenses be used to shape the instruction of a thematic unit? How can technology encourage learners to critically think of solutions to real-world global issues in innovative ways? And finally how can we assess our students so they can demonstrate their learning. During this workshop participants will explore these questions and experience learning activities that promote deeper, richer thinking that can enhance communication in all three modes.